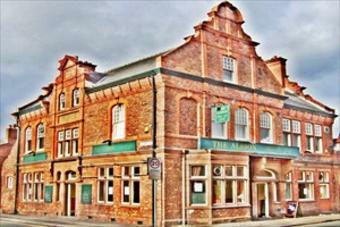 The Albion was the last pub on my list of intended targets in Warrington. This pub feels a little distant from many of the other Warrington pubs. But it had a friendly atmosphere. Whilst a refurbishment has taken away some of the character, you can still feel a sense of history here with multiple large rooms. The ale range was quite decent too. Merlin's Gold was supplemented by Mallinson's Mosaic, Littleover Dazzler IPA & Stockport Jester. 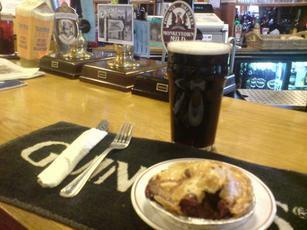 A CAMRA discount was offered on my half and football was being shown on the TV next to a pool table alongside the bar. Nice place. Could have done with a darker beer or a cider though. After a period closed, the Albion is open again. It has lost some of the charm, with fairly minimalist internals now in place (presumably resulting from being stripped out when closed), but the beer is still good. Heard a rumour that it is now closed for business - extortionate rent rise the cause I believe...real loss for Warrington this place. Having read about the Albion in "Out in Cheshire" monthly CAMRA mag, myself and the wife decided to pay a visit last Saturday 21st April, and i must say what a really good pub, the staff and customers were very friendly and the ale was top quality. There was a rock band practising up stairs and found this refreshing, you can`t beat a bit of free live music. We are going back to The Albion and will try the food and hopefully a live band, keep up the good work, Thankyou for your hospitality. I have to agree with the last comment, this is not a place for users to bicker or make personal remarks. this is a place for constructive feedback. I've been a regular in the Albion now for almost five years and have seen the changes that Mark, Gill and Kev have made since taking the pub on. 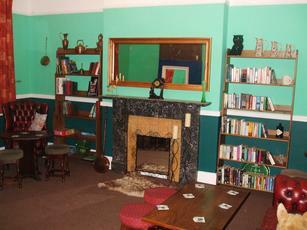 apart from the Saturday disco and the occasional band practice upstairs it is a reasonably quiet pub. There's a monthly rock music night and a monthly acoustic jam night that are well worth a visit. Since the current management came they have been pushing live music and good beer, they have brought the pub into the good beer guide with 3-6 beers on regularly. 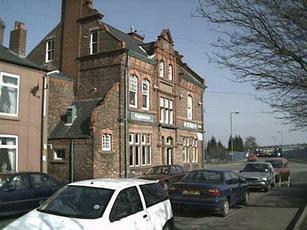 The pub was Cheshire pub of the year and Cheshire cider pub of the year. The staff, once you get to know them are an extremely knowledgeable and (mostly) lively bunch. They have an active dominoes team, regular poker nights and operate as a community hub, hosting several local tenants and residents groups. Some of the customers can be a bit Marmite but with the welcoming and accepting atmosphere that the Albion is run with, means that this can occasionally happen. I may be biased though (I like Marmite).